What a wild year. Between moving twice and changing jobs it was tough to find the time to do many of the things that keep me sane, happy, and healthy. As the year went on I was progressively better at paying attention to doing what I need and for that I am proud. When the noise of life is so loud you have to shout over it to hear yourself think, it is time to reassess what you are doing and why. After several months off of running in late 2013 and early 2014 as I healed my badly sprained ankle, it was very difficult to get back into it. I was incredibly disheartened in March/April at how much skill and stamina I had lost. I questioned my entire running history and future. Did this mean I was just not cut out for running? Should I find another exercise practice that was more suited to my curvy body? Was I kidding myself ever trying to become/call myself a “runner”? What I came to realize is that more than losing my muscles, my techniques, and my skill, I had lost my mental stamina. I let the doubt and excuses creep in and they were very difficult to dispel. 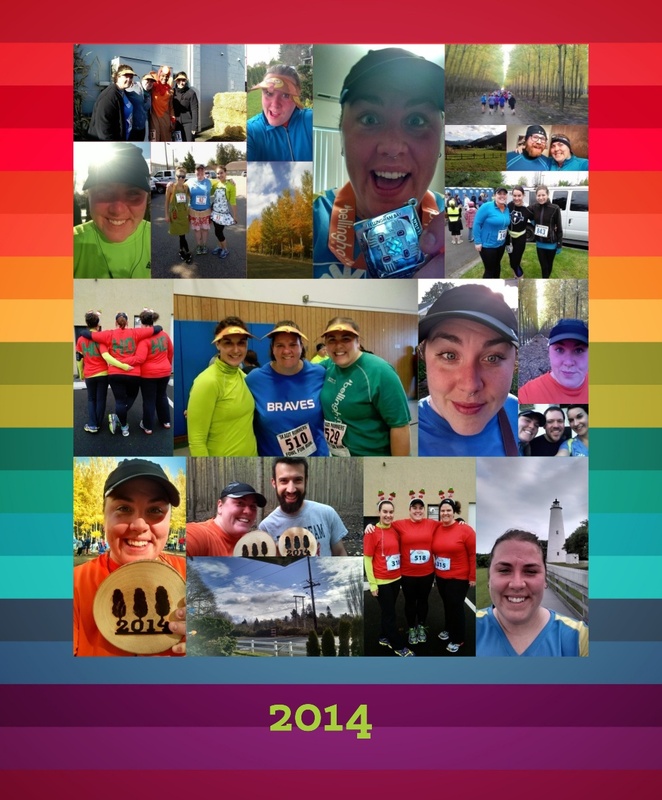 Thankfully, my wonderful partner and friends did not lose their belief in me and my running practice. Whether they know it or not, their support of me was the catalyst to me returning to regular running practice. I realized I had to not only rehab my physical body after an injury, but I had to rehab my psyche as well. That took slow, incremental work and lots repetition (just like my ankle!) but I am pleased to say that my confidence has returned and along with it my enthusiasm and patience with myself.